pac man – Hello Adorable! Chomping Pacman Costume from Matthew Varas on Vimeo. So, um, first of all… Pac-Man has been around for 30 years??! Say it aint so! Moleskine Notebooks has created a commemorative notebook for the occasion and a fun stop-motion video to promote it. So you’ve mastered all 255 levels of Pac Man and want to know what’s next? 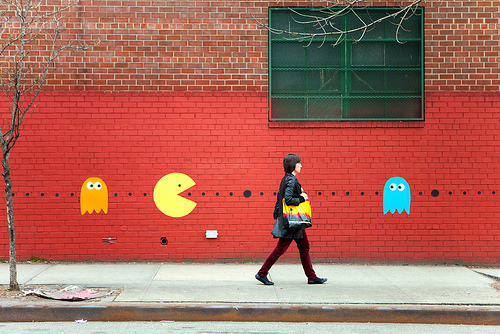 Try your hand at playing the world’s smallest game of Pac Man.